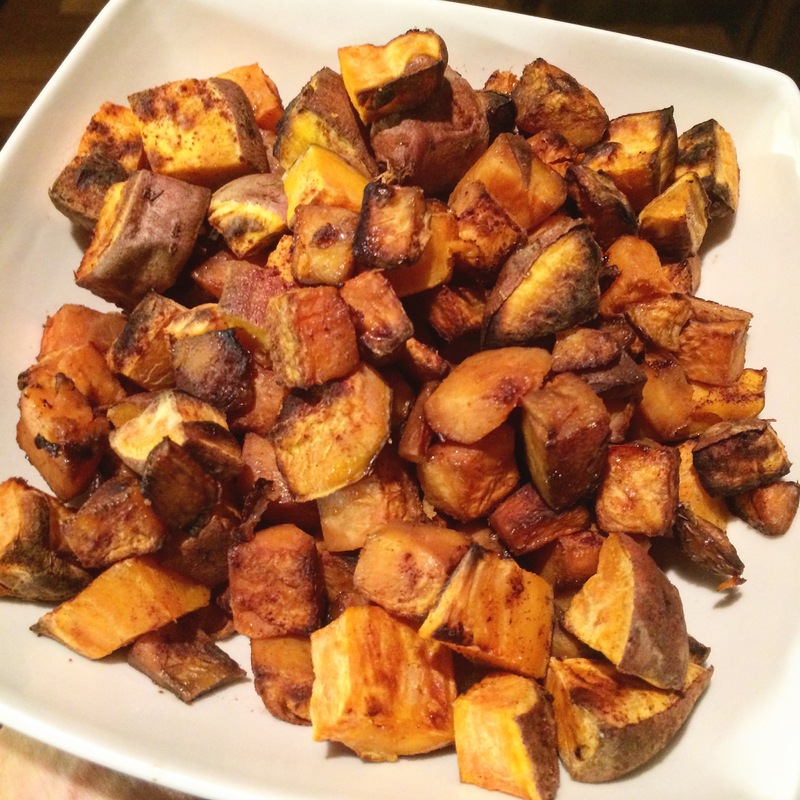 Sweet Potatoes, one of my favorite foods! Beta Carotene – essential nutrient which aids in growth & development as well as improves immune function. Fiber and Complex Carbohydrate – you know the drill with fiber which helps with digestive function and complex carbs take longer to digest which means they fuel your body much longer. Vitamins galore: high levels of Vitamins A, C, manganese, calcium, potassium and iron! Low Glycemic – this means that your glucose levels do not increase after eating (aka you do not have a sugar spike). Named one of the Clean 15 produce – this means that they have been deemed to have little to no traces of pesticides meaning they are safe to consume in non-organic form. 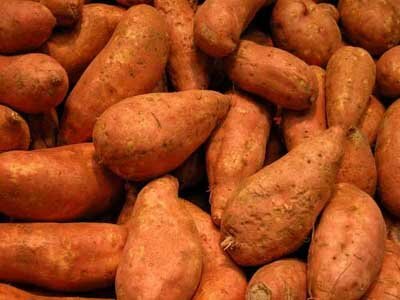 There are tons of sweet potato varieties as well – even sweet potatoes that are purple, garnet and white but pack the same nutritional value. 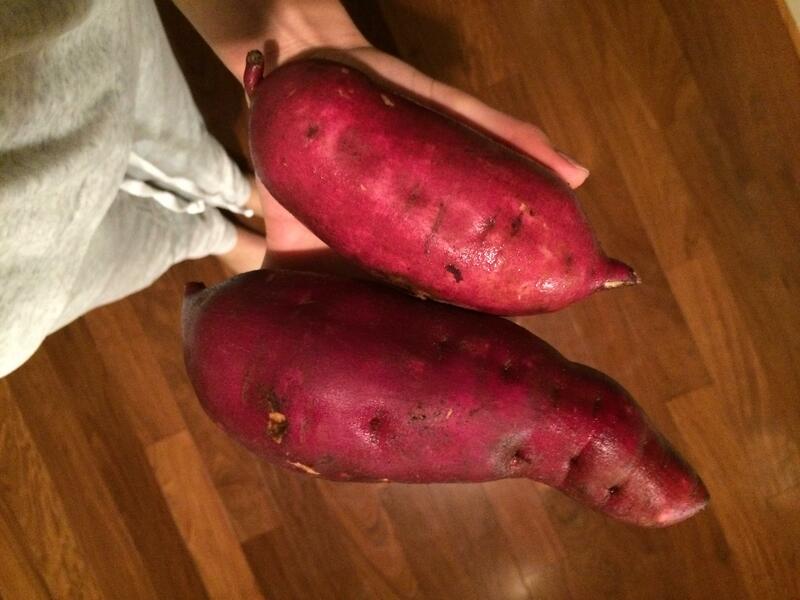 My recent favorite discovery is the Murasaki variety (thanks to Trader Joe’s); it is purple skinned sweet potato on the outside and a cream color on the inside. This variety is just as sweet but also has a slight chestnut flavor – perfect for fall! Preheat oven to 400 degrees and place the sweet potatoes (whole) inside. Cook for about 15-20 minutes just so they are soft enough to easily cut through. In the meantime, place some tinfoil on a baking tray and spray with coconut oil. Pull out the potatoes and cut into small cube sized pieces and lay out on the tray. Spray again with coconut oil and then sprinkle on garlic powder, salt and pepper. Bake in the oven for another ten minutes then switch to broil for 5 to 10 minutes or until the sweet potatoes are golden brown and crispy. I can’t believe I only started enjoying them a few years ago. Such an easy, delicious, and healthful side! Love it.